A Splinter Cell like game... in 1800. Like Stealth Games? Here it is! Also like Tomb Raider. Thief is slated to hit PlayStation 3, PlayStation 4, Xbox 360, Xbox One and Windows PC on Feb. 25 in North America, Feb. 28 worldwide. Prospective Thief players can judge whether the first-person stealth action game is right for them with a new gameplay video released by Square Enix and Eidos Montreal today. The 17-minute gameplay clip features a "pure, unedited, uncommented playthrough" of the game's first mission, "Lockdown." In it, protagonist Garrett attempts to make it safely back to his hideout, but happens upon a jewelry store ripe for the thieving. The Thief footage comes from the Windows PC version of the game, running on "fully optimized AMD hardware," Eidos Montreal says in the video's description. That includes an AMD FX 8350 CPU, 8 GB of RAM and an AMD Radeon HD 7990 graphics card. Oh Yeah!!! This will be my 2nd game for my PS4!!! Both versions run at 30 frames per second. Thief is the latest multiplatform next-generation game to perform best on PS4, following in the footsteps of the likes of Infinity Ward's Call of Duty: Ghosts. This week Kojima Productions confirmed that Metal Gear Solid: Ground Zeroes would output on PS4 at 1080p and on Xbox One at 720p. The difference in resolution with Thief isn't quite as stark as it is with Call of Duty and Metal Gear Solid. Thief's resolution on Xbox One mirror's that of Assassin's Creed 4 and Ryse, both of which output at 900p and 30fps on Xbox One. 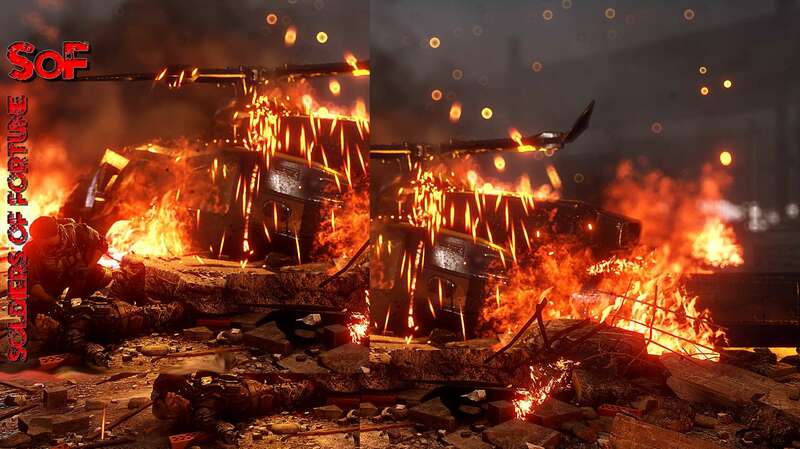 "You really need good eyes to see the difference," game director Nicolas Cantin told Eurogamer of the resolution difference between PS4 and Xbox One, before insisting the Xbox One version "is as good as the PS4 version". For Cantin, and others on the design team, the Xbox One version's resolution "doesn't make much of a difference". "As developers, no," he continued. "As engineers, yeah. The engineers, for sure. But for us, as creative director or art director or level designer, we gave the same data. After that it's a more technological aspect of the game. The engineers have to manage that." For Cantin, the difference is more pronounced when you compare the current-gen versions of the stealth action game to the next-gen versions - as you'd expect. "The immersion is more [on next-gen]," he said. "We put more detail in, more special effects. But at the same time, we kept the same gameplay experience with the current-gen and the next-gen versions." The THIEF game reviews are tearing this game apart. I think I'll be skipping this... unless I can pick it up cheap used... LOL What a shame... I was looking forward to Thief. Guess I'll have to wait for a new Splinter Cell for the PS4.... whenever that comes out!!!!! Below is one of the kinder reviews! !